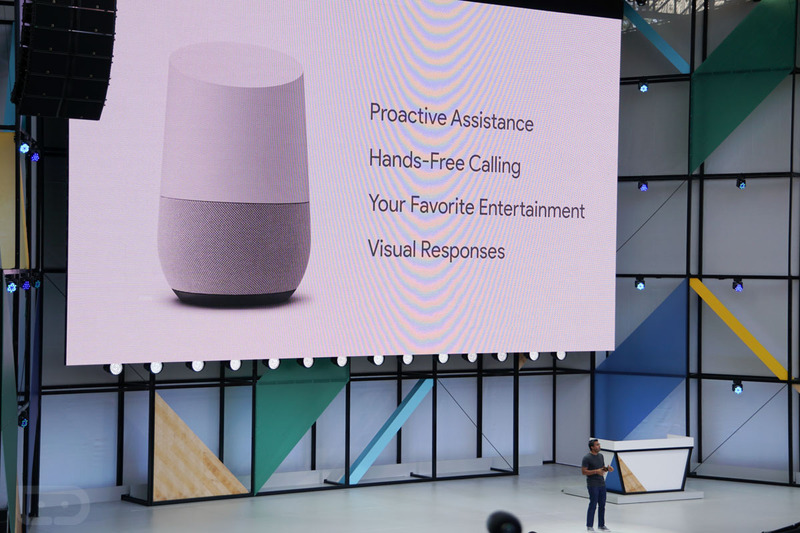 Google Home had a huge role at today’s Google I/O opening keynote. Not only did it star in its own segment, but Google announced numerous new features coming soon to the device. Features like hands-free calling, Bluetooth music streaming, visual notifications, and reminder and calendar management are all coming soon. 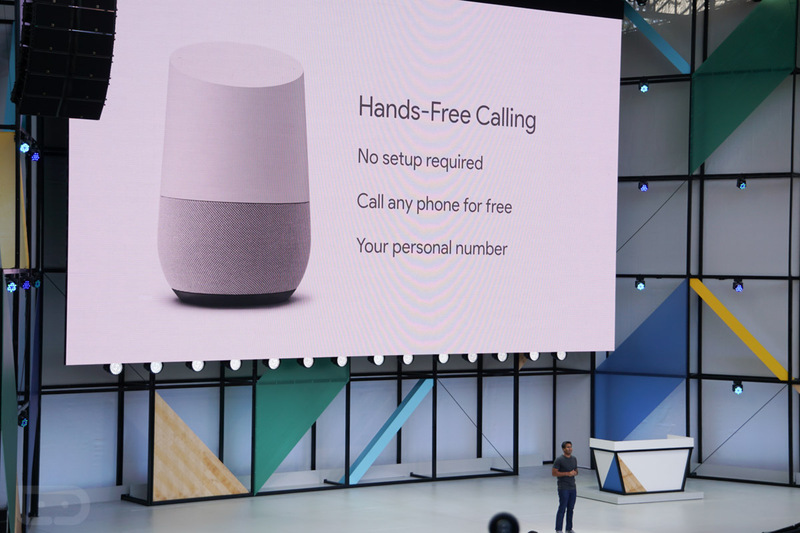 With hands-free calling, Google is letting Home users call anyone’s mobile or landline within the US or Canada. Google says there is no setup required and that you won’t need a separate phone number in order for this to work. They claim it’ll just work, though the details are a bit scarce at the moment. Either way, you’ll soon (“coming months”) be able to say, “OK, Google, call mom” and your Home will. 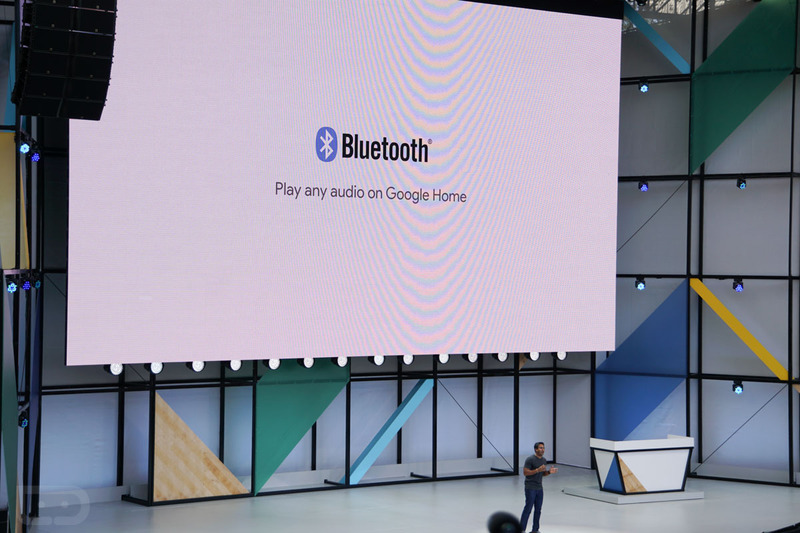 Google is adding Bluetooth streaming as well, something we’re surprised took this long to be there. But going forward, you’ll be able to stream music from any of your services to a Google Home. Google Home is getting new access to new streaming services that can be controlled with Home. 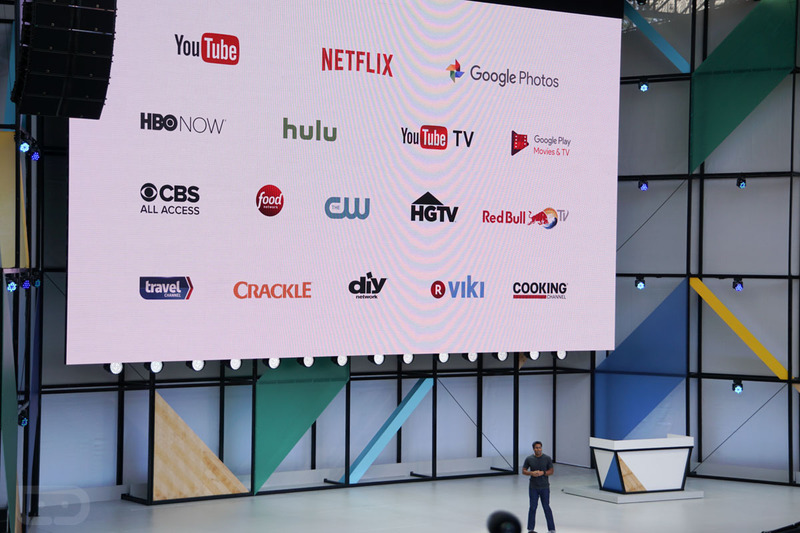 For example, HBO NOW, HGTV, Food Network, and YouTube TV will all be available through Home. In the past, we really just had Netflix and YouTube access. Additionally, Google Home is getting proactive assistance or notifications, which is a fancy way of saying that it’ll be able to ping you with notifications or alerts (Ex: flight or traffic alerts). Like Amazon’s Alexa just announced, you’ll see the light on Home glow if you have a notification to check on, which you can then get to by just asking Google Home what it is. 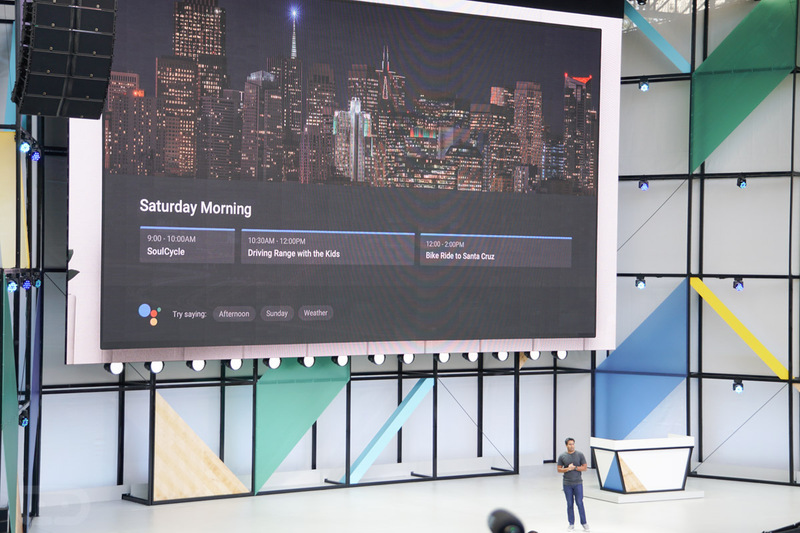 With a Chromecast or TV with Chromecast in your home, Google Home will also be able to show you visual info on a TV. 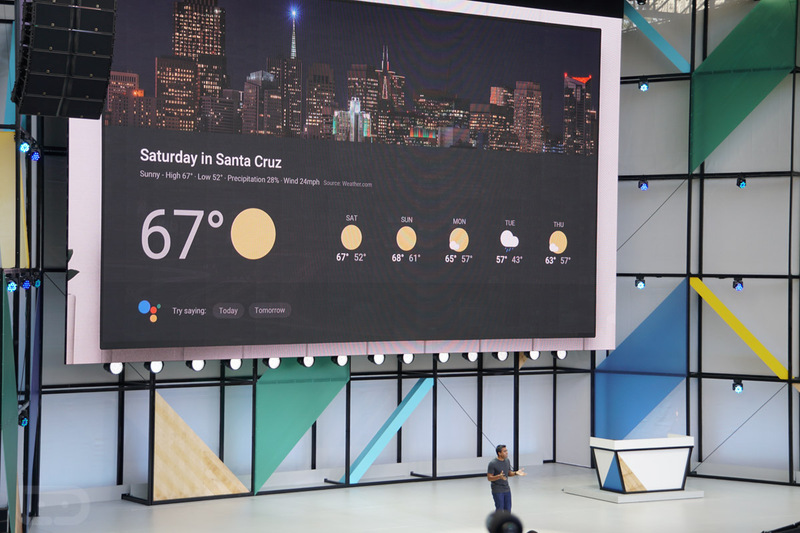 Once Chromecasts have been updated with this new feature and you have a Google Home, you’ll be able to ask Home to show you the weather, bring up calendar info, or just do general Google searches. Google didn’t necessarily announce this on stage, but a bunch of new smart home products work with Home now. There are over 70 partners now, including new ones like Awair, D-Link, Plum, and LightwaveRF. You can see the full list here. Finally, you’ll soon be able to check on reminders and set new ones (! ), while also managing your calendar as early as today. See, big Google Home changes are coming soon.